#BikeBendigoLTU is encouraging us to get on our bikes. And what better inspiration than to hear about the pure joy of the treadlie from one of our own, Executive Assistant to Head of Campus Myl Duffy. 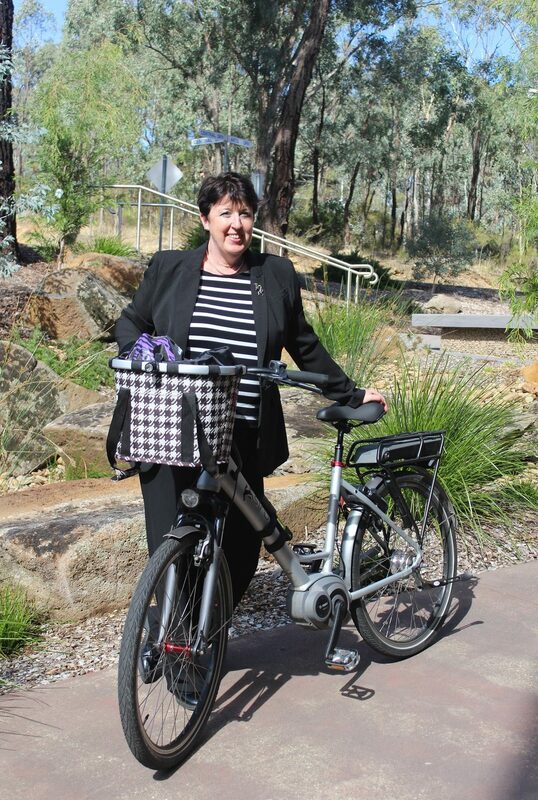 This week Myl took the Bike Bendigo Q&A… to stay up to date with the group and share your own story follow Bike Bendigo on Facebook. What’s your favourite cycling experience? I am a leisure cyclist. I ride my bike for the pure joy of being out and about, enjoying the scenery and to get from A to B. I like to use my bike to do the shopping, get around town and go out in the evening. My best cycling days are when I cycle to somewhere interesting with good scenery. I have had numerous great days just out on my bike with my partner; shopping, seeing the sites, going to lunch – we have done this all over the UK, in France and Holland and since moving to Australia we frequently cycle in Melbourne and have taken our bikes to Adelaide and the Fleurieu Peninsular. Why do you cycle to La Trobe? I live 8km away and I did not want to buy a second car. I have commuted to most jobs I have had by bike. Even when I lived 50km from work in Cambridge in the UK I would drive part of the way and then cycle on my folding bike across town. This was a really practical solution because it worked out quicker than sitting in traffic. So when I got the job at La Trobe I purchased my power assisted bike as the 8km to work is all up hill (admittedly making getting home very easy) and it’s too much like hard work to shower and change. What do you think we could do to improve the cycling culture on campus? I think the participation rate is really low. I think people have a perception that the roads are very dangerous and while some motorists are a bit inconsiderate I think it is an urban myth that there are motorists out there deliberately trying to injure cyclists. In reality the number of cars is low, the speed limits are low and the roads are wide. I think a change in the way people see cycling is required – look at the Dutch, they use bikes for short local rides – perfect. Ignore the Lycra, competitiveness and the obsession with gear and cycling in a pack and think of it as a great method of transport.